“Have you always wanted to be a writer?” This was one of the very first questions, Ruth Samsel, my literary agent asked me. I was so incredibly nervous that first interview, I said something silly about someone telling me not to write anything until I was 50 years old--terrible advice looking back at it now. Answering that question today, I would say that, yes, from the time I was a child, I have always wanted to be a writer. From the time I was a child, I also always wanted to be Amy Grant, but that was before I realized that you can’t be someone else! Thankfully, Ruth Samsel overlooked my fumbled first answer and offered me a contract a few weeks later. If you’re at all interested in becoming a published author without going the self-publishing route, you’ve probably realized that you’re most likely going to need a literary agent. Gone are the days when you could send your query letter or manuscript directly to a major publisher and get any response. There are so many authors wanting to be published, the publishing companies have to utilize agents to wade through what they call the “slush pile” in order to find the best manuscripts. I’m writing the story down of how I signed with Ruth, for my reader's benefit, but in many ways mostly for mine. I realized over the years that I tend to forget things and I want to have a record of how God worked to bring my publishing dreams to reality. The first thing that happened is that for several years, I was praying that the Lord would give me a message to write about. I wouldn’t say I prayed this too fervently or flippantly, I just let God know the desire of my heart when I thought about it and kept attempting to live faithfully with Him. 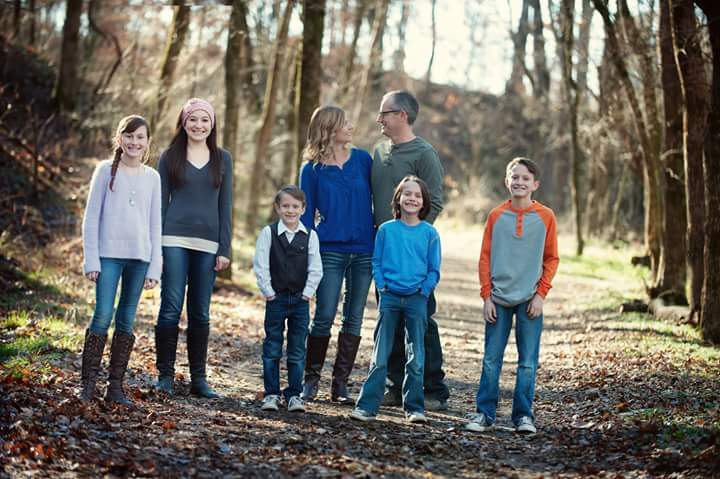 The second thing is that we stepped out in faith and planned a mission trip for our entire family to Kenya. This experience fueled the next step where I actually wrote the first draft of a children’s book story based on our experience. I was inspired by a Kenyan woman named Mama George, so I wrote a little story for children one night when I couldn’t sleep. The first draft was very simplistic, stripped down, and basic, and honestly looking back, not very good. But I LOVED it! And I knew God had given me a story that had to be told. Step four was a year of editing. I sent the manuscript to friends, and family, who by the way will always tell you they love your story. Then an artist friend, Rich Davis, recommended I send it to a writer’s coach. This is where things got real. The writer’s coach had no ties to me and she was blunt, “I see no marketable value in your story.” Was I discouraged? Yes. But I took it as a challenge. I realized that I hadn’t accurately communicated the heart of my story, and that if I could write it in such a way as to convince this skeptic, then I might have a story. Then the story sat. Sometimes things need to soak. Often I would put the manuscript aside for a week or two and pick it back up again. I wasn’t finished with my story. But I needed to revisit it with fresh eyes. After about a six month break, I picked it up again, and began fleshing out the story and rewriting it. I probably wrote and read 15 different versions of the story to my kids before I sent it back to the writer’s coach. When I finally did, she had questions. But she was taking this version seriously. A few more versions, and finally she replied, “This version works! Where will you send it?” I was elated! What followed this was an unrushed season of asking God, “What is the next small step?” and just trying to do the next little thing. A published friend had told me I would need an agent to sign with a major publisher. I wanted to story to reach as many people as possible, and so I would start with the goal of using a major publisher who would give my story the marketing and publicity it needed in order to reach the largest audience. Plus, I’m really terrible with accounting, marketing, selling, or keeping track of anything really, so self-publishing wasn’t going to be my gig. I started reading Michael Hyatt's blog, and downloaded an ebook of his on how to write a query letter. I used a sample query letter as a guide and wrote mine out. A query letter is what you send to agents describing who you are and the nature of your book. If they like it, they will ask to see your manuscript. Besides working on my query letter, I also took a few detours and submitted my manuscript to The Writer's Edge (it was accepted. A boost for my confidence, but seemingly did nothing to sell the manuscript) and I even got crazy enough to send Franklin Graham at Samaritan's Purse his own operation Christmas box and a copy of my manuscript to endorse (he was too busy). I also sent my very first query letter to an agency in New York City and waited for feedback. It was a huge agency and from what I could tell, not a Christian agency. But I had read that you should send a few query letters out just for feedback first before you hit the ones you really want, so that is what I did. My first rejection letter came in about three weeks. They said they found the story “engaging” but it didn’t fit their agency. I was thrilled! By now, it was February 2015, two years after writing my first copy of Mama George (later I renamed it The Marvelous Mud House). For my birthday, Tom gave me a few nights away. I spent some time that weekend reading, praying, and making plans for the year for our homeschool and just life in general. I remember fervently praying that God would use my story, that He would provide an agent, a publisher, and use the story to reach as many people as possible. I clearly remember being overwhelmed with a desire that He be glorified by this story and praying that someone who had a heart for Kenya at a publishing house would believe in my story and pick it up. Frantically, of course, I composed a thank you and attached my manuscript after carefully going over it a few more times. Then I waited. After 6 weeks, I had heard nothing back. Everything I saw online said to wait 8 weeks before checking in after an agent asks for your manuscript, but I was getting anxious and Tom was leaving the country for a short term trip, and I wanted to know. So I emailed Bill and asked him if he had any feedback on my manuscript. At this point, I figured that it was a no since I hadn’t heard anything. I was floored and excited when he replied the next day with, “I like it a great deal and I have passed it along to our agent, Ruth Samsel, who has had success lately with selling children’s books to publishers.” It almost didn’t seem real! The following week, Ruth contacted me. I have to quote her email exactly: “Bill passed your manuscript my way. Darling, Love it! I have a few questions. When can you talk?” About to fall out of my desk chair, I hastily replied, “I’m free all day! Maybe give me an hour or so for my coffee to kick in?” Thankfully, she thought my response was cute, but clarified that she meant "what times was I available to talk maybe next week!" Once we cleared that up, we figured out a time for us to talk, she gave me her number and told me to call when I was ready! So at 10 am on Tuesday, March 1 2015 I had my first one hour conversation/interview on the phone with Ruth! This is the point where I answered the question about if I always knew I wanted to be a writer quite dumbly. But apparently I didn’t fumble the rest of the interview, proved that I knew how to have a conversation and had a true heart for the message of my story. She asked me to not query any other agencies for two weeks and then we would talk again. I bit my nails and sat on the couch for two weeks and then we had to reschedule our phone talk for another week. When we finally talked the second time, Ruth started listing off a few things she was going to email me and casually slipped in the word “CONTRACT.” Oh but I heard it! I started quietly jumping up and down while on the phone with her trying to be cool and answer her questions until we hung up the phone and I could scream. Then I got quite scared and nauseous! I received the contract, took about five seconds to think about it, signed it, and then emailed it back a few days later, hoping they hadn’t changed their minds and it was all a big mistake. So, that’s how I signed with the best literary agent in the world, Ruth Samsel, and eventually landed a book contract. I would say that my story is quite atypical as the thing you always hear about is people sending out hundreds of query letters only to be rejected time and again until finally getting signed. I do believe the Lord has guided and blessed this process and opened doors I couldn't have imagined. I give him all the glory and feel that the entire project has been his from the beginning. 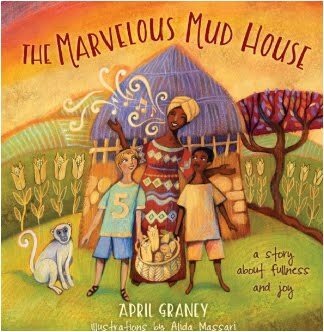 My book, The Marvelous Mud House, will release in November with B&H Kids, a division of Lifeway Christin Stores. How the Lord and Ruth worked that magic is a story that has to come in a later post, as this post is already four times the recommended length for blog posts, but it is just as incredible! Yay, April! I got more and more excited for you as I read this account! Thank you for sharing the inside story of your story! I can hardly wait to buy a couple of copies for my great-grands! Pinch me...I personally know a real author! Thank you for sharing this! I'm getting ready to send out my query letters and my book proposal and reading about your experience has been so helpful. Thank you!